Once best in the world, Russian gymnastics has recently fallen on hard times. With Russia's last Olympic gymnastics gold in 2000 only, Aleksandr Aleksandrov is the latest coach tasked with plotting a revival. He has been tasked with overseeing the revival of Russian artistic gymnastics – a sport that isn't in the greatest of health, despite the fact he hasn't even lived in the country for the last 15 years, but he says that he felt it was the right time to return. “Russia is my home, despite the fact I had a wonderful time in America,” says Aleksandrov. “The country welcomed my family with open arms, and it was great to live there, while I trained some American Olympic champions. “But home is still home, and I remember that I used to train gymnasts during Soviet times. Gymnastics in Russia has fallen on hard times recently, and the task of trying to improve the sport was too good an opportunity to turn down,” he adds. Aleksandrov was one of a number of Russian coaches who left his native country to work abroad, following the break-up of the Soviet Union, but he defended his decision to find a new life overseas. “When the Soviet Union collapsed, no one really knew what was going to happen next, and a lot of coaches wanted stability in their lives, and of course thought about their families,” explains Aleksandrov. With such a number of high profile coaches leaving Russia during the early 90's, it is no wonder the sport is struggling at the moment. Aleksandrov doesn't believe this is solely due to a brain drain, but also due to a chronic lack of investment. 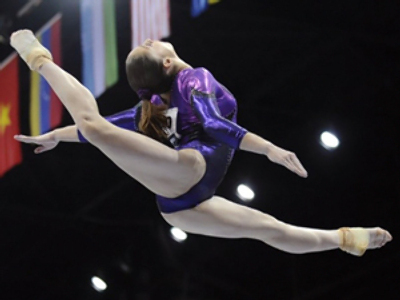 “These aren't easy times for Russian gymnastics. The problems started after the collapse of the Soviet Union, when a lot of children's gymnastic schools closed. Coaches earned a pittance, while those training the new generations weren't specialists, but rather fans of the sport, so of course the end product suffered,” says Aleksandrov. If the standard of gymnastics in Russia is to improve, Aleksandrov believes more money has to be pumped into the sport. China, for example, from nowhere has managed to become the world's gymnastics superpower over the last decade, due to colossal investment. Things are starting to change, with top coaches around the country starting to receive salaries competitive to their counterparts in the US and Western Europe, and, as a result, a new generation of talent is coming through ahead of the London Olympics in 2012. 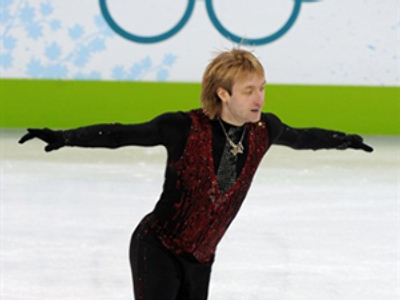 “We have some very young and talented gymnasts coming through who will increase the strength of the team, while of course Ksenia Semonova and Ksenia Afanasieva ,who despite not winning a medal in Beijing, are now a lot more experienced, and, if everything goes to plan, we should do well in London,” Aleksandrov says. Gymnastics in Russia can't really sink any lower after what has been a very depressing last five years. If more coaches follow Aleksandrov's example and return home, and investment into the sport continues, there is no reason why Russia cannot return to its former glory.